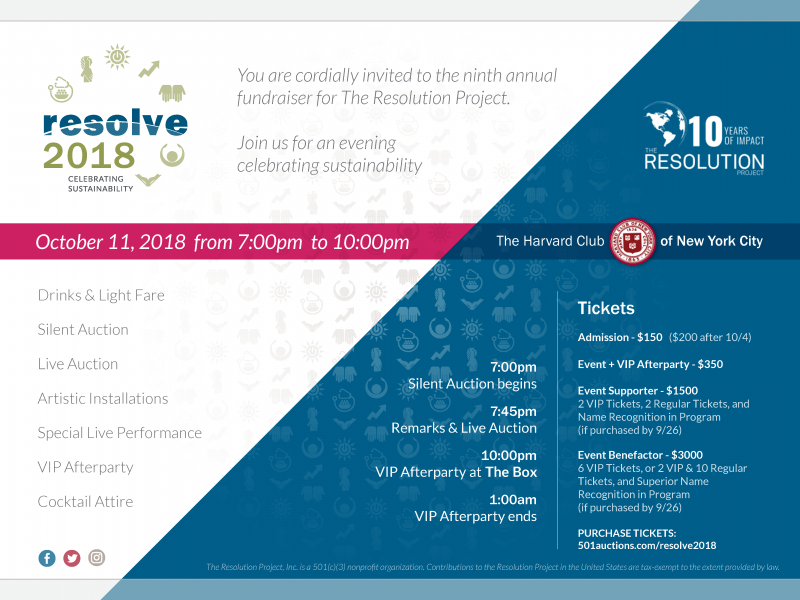 The 9th Annual Resolve Gala is happening on Thursday October 11th at the Harvard Club of New York City from 7-10pm. 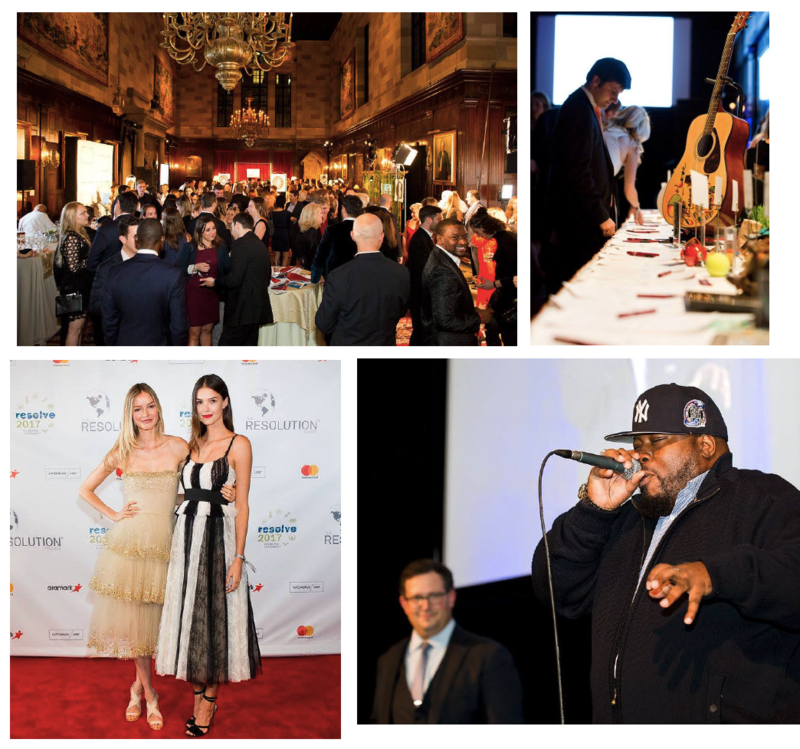 This is the charity’s ten year anniversary as an organization, and will feature celebrity guests, a private concert by Grammy Award-winning hip hop trio, Naughty By Nature, a museum of social impact, and a live auction. Past performers have included Estelle, All-4-One, and Natasha Bedingfield. In each of the past three years, the event has earned well over 12 million media impressions. At the event, guests will have a chance to mingle with many of our amazing Resolution Fellows, sample a full open bar, enjoy many hors d’oeuvres, explore creative installations featuring actual social ventures, and bid on incredible auction items. The VIP After-Party is at The Box, one of the hottest venues in the city. The Resolution Project inspires young leaders to change the world. Resolution discovers young social entrepreneurs through Social Venture Challenges held at existing youth conferences, such as the Clinton Global Initiative University, the Youth Assembly at the United Nations, and others. Resolution enables the winners of its competitions to make a positive impact today through Resolution Fellowships. These Fellowships include dynamic, hands-on support, mentorship, and grants to implement their social ventures, which empower the recipients to develop as socially-responsible leaders. Over 400 Resolution Fellows, in 76 countries on all six inhabited continents (including all across the United States), are working on more than 200 diverse social ventures in high-impact fields such as water, food, sustainable development, education, energy and the environment, equality and empowerment, health and wellness, and humanitarian relief. Their efforts have benefitted over 1.5MM people thus far, making each Resolution Fellow a change agent and a force for good. The Resolution Project, Inc. is a 501(c)(3) nonprofit organization. Contributions to the Resolution Project in the United States are tax-exempt to the extent provided by law.